Thursday, March 15 was the long-awaited day when Talentor partners from 21 countries gathered again for their semi-annual meeting. As always, laughter, smiles, hearty handshakes, and hugs livened up the scene as we all arrived. We kicked-off the partner meeting with a client event. 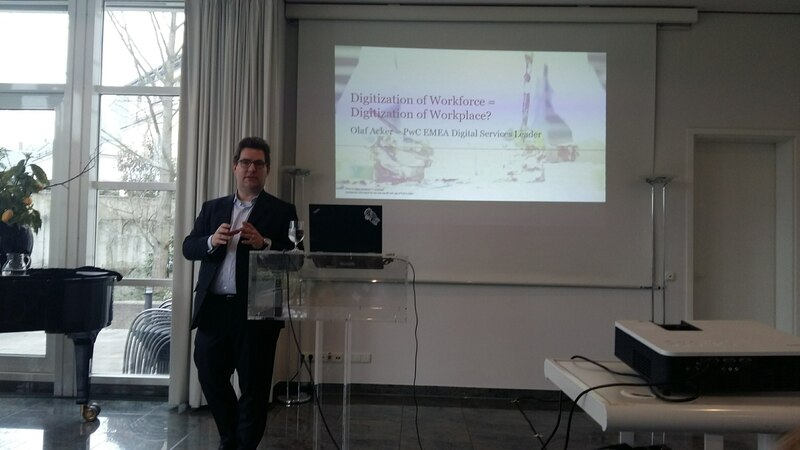 Olaf Acker from PriceWaterhouseCoopers spoke about how digitalization is affecting the workforce and the workplace. After all, 33% of the global population will be digital natives by 2020. This is creating a need for business people with new skills, in addition to the increasing demand for digital experts and data scientists. To develop these leaders, businesses need to adapt to the learning and lifestyle preferences of digital natives. Not just job descriptions are changing, but also the workplace itself. For example, to increase its attractivity as an employer, PwC developed a digital fitness app that delivers a personal and addictive learning and fitness experience. Another example of changes businesses are making to accommodate the preferences of digital natives are company think tanks. The think tank at epunkt’s new offices in Linz is typical. It has a comfortable lounge atmosphere and the entire surface of the walls doubles as a whiteboard. This creates an optimal space for maximum creativity. We gathered again on Friday and Saturday for more workshops. In the “Digitalisation” workshop, we exchanged experiences on what digital roles companies are looking for, where to find them, and how to share this know-how within the partner network. Sessions about how to use technology in business and how to comply with the stringent GDPR regulations also helped keep us up to speed. Furthermore, it was our great pleasure to welcome Fang Kai Low of VHC Consulting as our guest. He gave us an overview of his company and their activities in Malaysia, Indonesia, and Thailand. One of the charms of being part of an international network of like-minded people is the chance to enjoy fun times together. The meeting in Frankfurt was no exception. 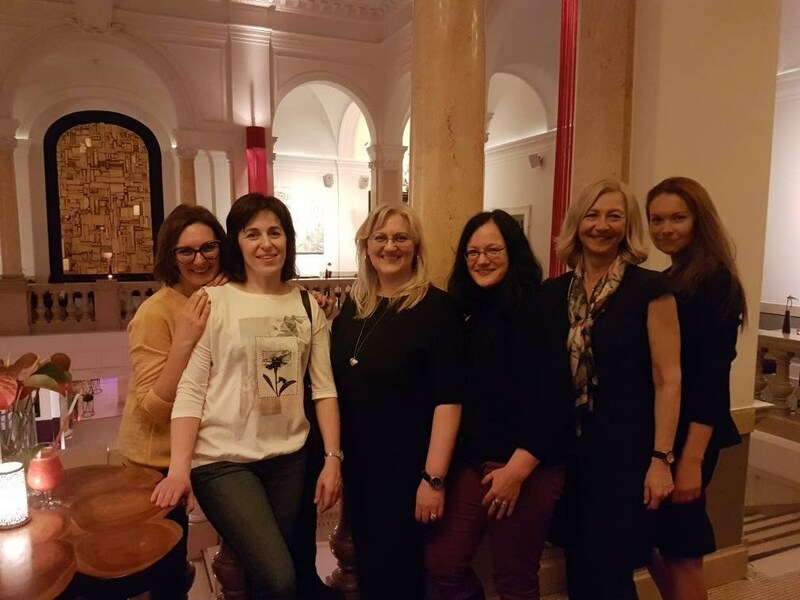 Our partner in Germany, Gerhard-Stähler, organised a delightful evening at a traditional Apple Wine restaurant in the city centre. The rustic decor and traditional specialities created the perfect atmosphere for a night out with friends. Next Article Is the Future of Autonomous Mobility Really Happening?